The ongoing feud between Amazon and book publisher Hachette is drawing out the big names such as Philip Roth, Salman Rushdie and other well-known, highly successful authors. So what sets these authors apart from those already pushing for Amazon to end its standoff with the publisher regarding e-book sales? Well, none of them are actually Hachette-published authors and they signal a new push for federal regulators to investigate Amazon for its allegedly shady e-book pricing tactics. The New York Times reports that hundreds of writers, many of whom are not published by Hachette, have joined their literary brethren in highlighting the alleged disservice Amazon is doing to authors and consumers alike. For those coming to this story late, Amazon and Hachette Book Group, one of the nation’s largest publishers, have been unable to agree on wholesale pricing terms, most notably on e-books. Amazon is attempting to pressure Hachette into making a deal by refusing to take pre-orders on new Hachette titles. Shipping on the publisher’s in-stock titles is often delayed, and books from other publishers are receiving more attractive discounts. Authors United, which sent a letter to Amazon CEO Jeff Bezos in August asking him to resolve his company’s ongoing contract dispute with book publisher Hachette, is currently writing to the individual members of Amazon’s board and drafting a letter to the Justice Department asking it to examine Amazon for possible anti-trust issues. At the center of the discussion is the debated issue: What are the rights and responsibilities of a company that sells half the books in America and controls the dominant e-book platform? While the group first consisted of only Hachette-published authors, it now includes those from other publishing houses and the estates of many well-known authors. Andrew Wylie, a literary agent, tell the Times that he’s asked all of his writers to join the group, Authors United. Of the thousands of clients Wylie represents, about 300 have signed on to Authors United. In addition to Rushdie and Roth, those who have signed on include the estates of Allen Ginsberg, William Burroughs, Norman Mailer and Hunter S. Thompson. Recipient of the 2014 Medal of Distinguished Contribution to American LEtter, Ursula K. Le Guin – who isn’t a client of Wylie – also recently signed on to the writer’s group. Still, according to the Times, any threat presented by the high-profile authors and the letter to the Justice Dept. doesn’t seem to have had much effect on Amazon. The company said that it was trying to make e-books more affordable for all consumers, and that publishers and writers would make up in volume what they were losing in margin if the prices were lower. 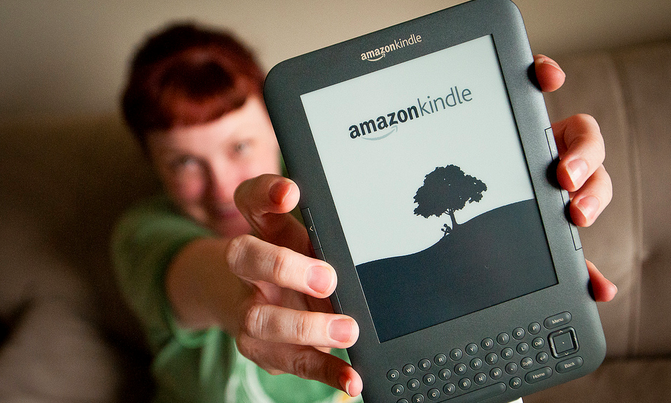 Despite efforts by the writer’s group, Amazon has continued its shady pricing tactics. As an example, the Times reports the retailer’s differing treatment of two new Hachette publications. “Sons of Wichita” by Daniel Schulman, which came out in May, was initially discounted. The book is no longer discounted and takes up to three weeks to ship. By contrast “The Way Forward: Renewing the American Idea” by Wisconsin Representative Paul Ryan has no shipping constraints.